Listen to Spotify from your smartphone with smooth control on the receiver via USB or Bluetooth connection for iPhone, and via Bluetooth for Android devices. 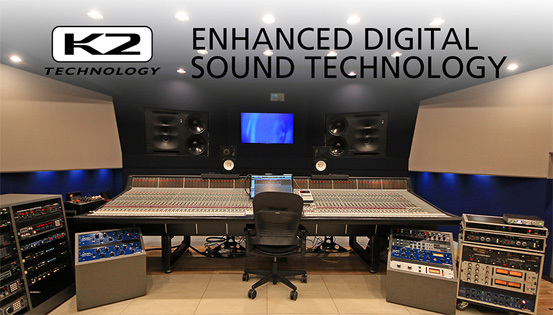 K2 is a JVC original technology that reproduces the original master sound by expanding the frequency range. For example, K2 will expand the digital data of the audio CD recorded at 44.1 kHz/16 bit to 192 kHz/24 bit. It is also possible to recreate the high-frequency range above 20kHz that is cut during the CD formatting. By selecting the speaker type and the distance to the center of the listening position, the receiver will automatically adjust the timing of the sound output from each of the speakers so that the sound from each of the speakers will arrive exactly at the same time to the listening position. Space Enhancement is a virtual surround technology using 2 speakers. 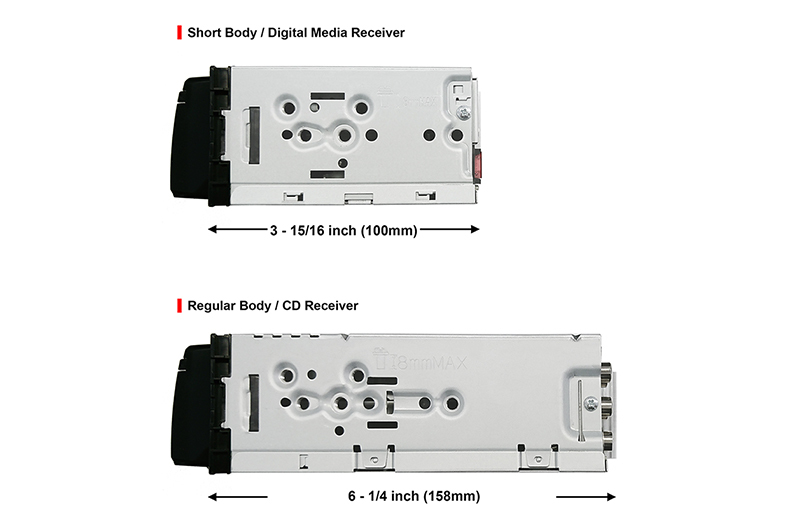 Simply select the vehicle size, and the receiver automatically adjusts the sound effectively. HFP 1.6 Wideband Speech is supported, allowing you to enjoy hands-free phoning convenience together with higher voice quality and improved noise reduction. Just connect your iPhone via USB and the automatic Bluetooth pairing function will work to complete the pairing. No complicated manual procedure to worry about. Connect up to 5 Bluetooth devices simultaneously, allowing you and your friends to take turns streaming music like a DJ. Move to the groove and get the party pumping to the max. When the battery of the connected Bluetooth device runs low, a beep sound is heard and “LOW BATTERY” appears on the receiver. Changes illumination patterns according to the rhythm of the music. Illumination key colors can be preset the way you like. Control the receiver's source directly from the smartphone using simple finger gestures with "JVC Remote" app* (now available for both iOS and Android). You can even customize your audio setting, and see detailed source information such as song title, artist name and album art etc. from the smartphone.